Medium-pressure double-lip oil seal with integrated seal lip support, and proprietary blends of PTFE bonded onto the dynamic sealing lip. 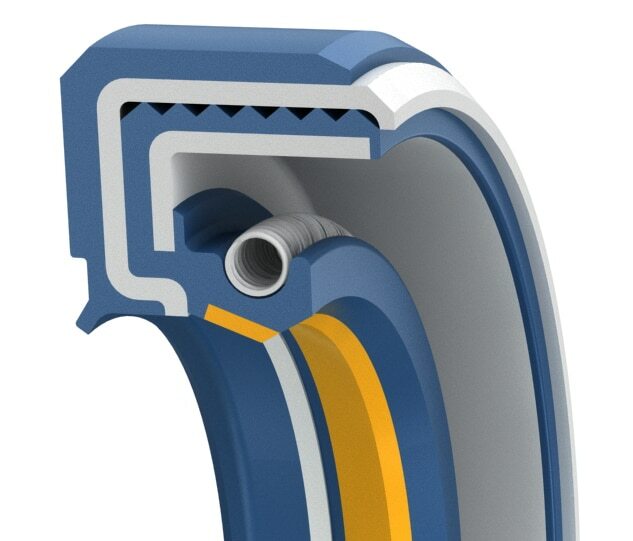 Integrated lip support, reduced lip load, premium Duralast™ material, and low friction PTFE lip creates reduced friction, lower heat build-up and wear; resulting in increased seal life under higher pressures and speeds. This allows the seal to handle higher operating pressure. 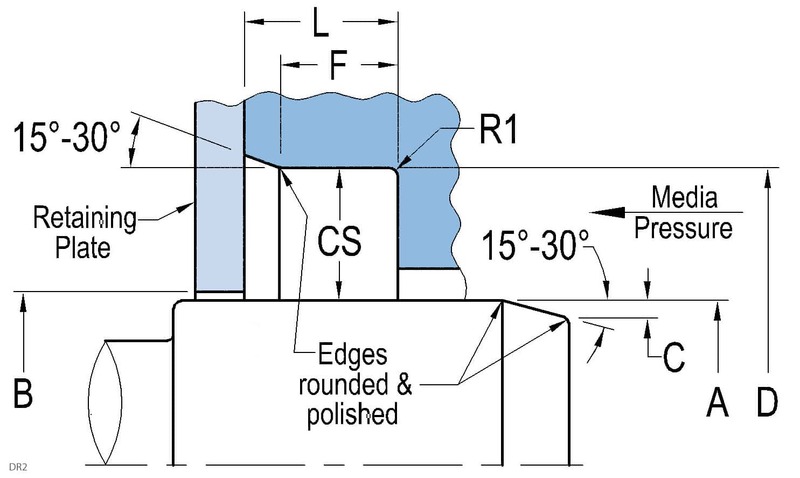 The rubber-covered OD of the seal creates a tight seal with the housing bore, and the press-in fitment design accommodates housings with short axial space requirements. The secondary lip serves as effective protection against airside contaminants and as a lube retainer. Maximum service life can be achieved by applying a suitable lubricant between the two sealing lips.